According to a “reliable source” at Telus, a Canadian phone carrier, the iPhone 5 will be available to customer starting on October 1st, at least in Canada. The next-generation iPhone wasn’t previously expected to be released any later than the end of September, which suggests that Apple might have made further changes to its release schedule, or perhaps something a lot more obvious? Read on to find out what we mean. The October 1st launch date, which can allegedly be found on an internal Telus document, is expected to immediately raise questions among those familiar with Apple’s release timelines. Traditionally, all new iPhone releases, all the way back to June 2007, have taken place either on a Thursday evening or a Friday; yet, October 1st is a Saturday. While launching an iPhone at that point in the week would make sense due to increased store activity on weekends, Apple usually prefers weekdays, leading many to believe that either this source is mistaken or that the presented release date is just an approximation until the real date is revealed, although the source who leaked the documents states otherwise. On the other hand, we must remember this report comes from Canada, a country where the iPhone has traditionally arrived several weeks later after the US release, except for the iPhone 3G and the 3GS. 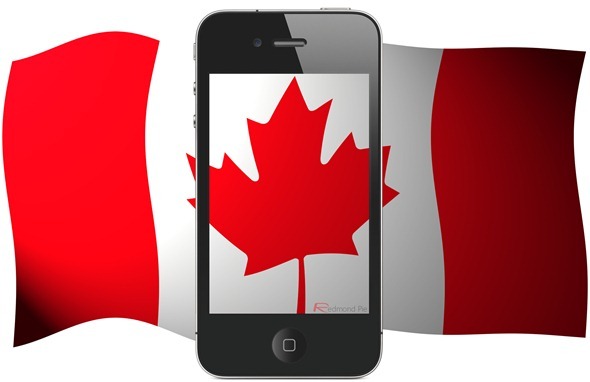 While the Canadian release date for the iPhone 5 might actually be October 1st, the device might actually arrive in US stores a few weeks earlier, perhaps sometime in September, as most previous reports have suggested. Also, according to Sterne Agee analyst Shaw Wu, Apple’s iPhone 5 will be a “bigger update than expected”. We reported yesterday that the next iPhone would indeed be released in October, not in September, according to another source familiar with the matter. The report alleged that AT&T was stopping all workers from going on holiday in the last two weeks of September in order to prepare for a release in the following month. This suggests an October release in both the US and Canada, perhaps as well as several other countries in the world, despite Apple’s previous release approach. The iPhone 5, which is expected to replace the iPhone 4 as the top-of-the-line iPhone model, has been rumored for months now. While reports are varied, ranging from a small upgrade with no design changes to a whole new case redesign. The new device is expected to be unveiled at an Apple event in the first half of September, although the company, as usual, hasn’t commented on the subject.